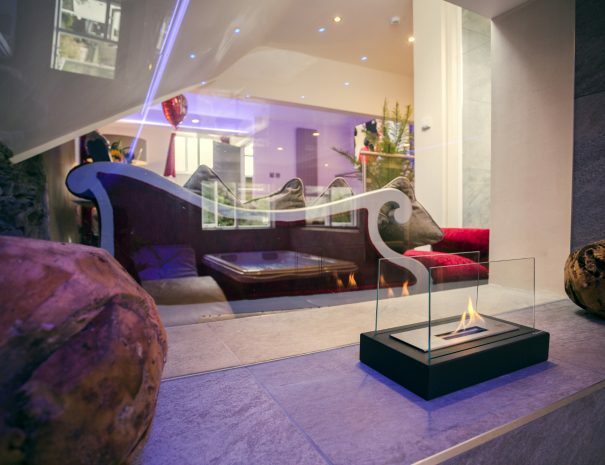 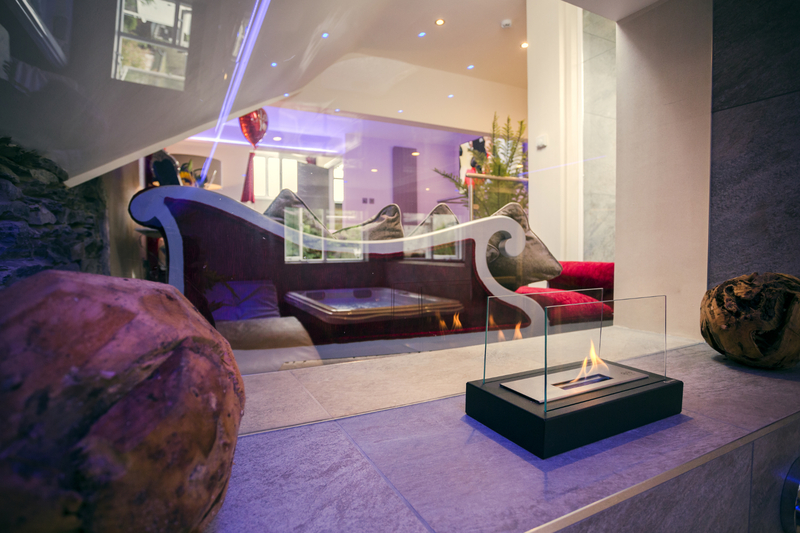 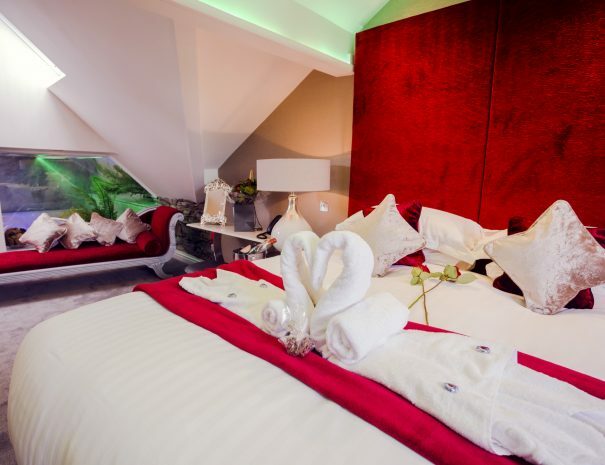 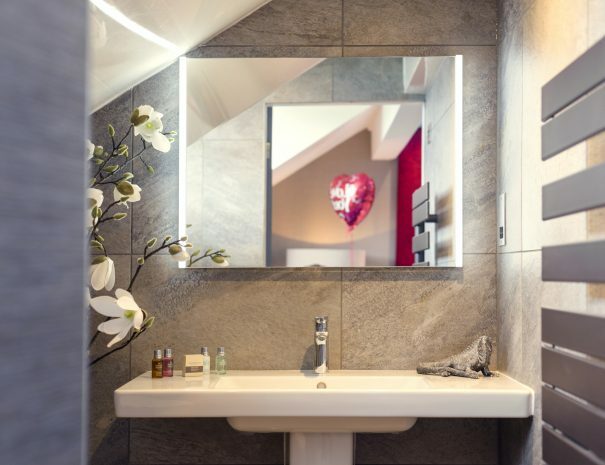 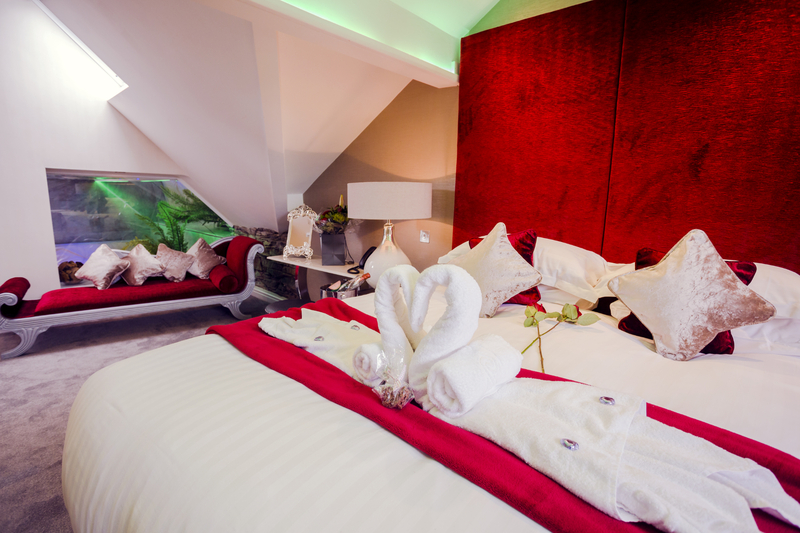 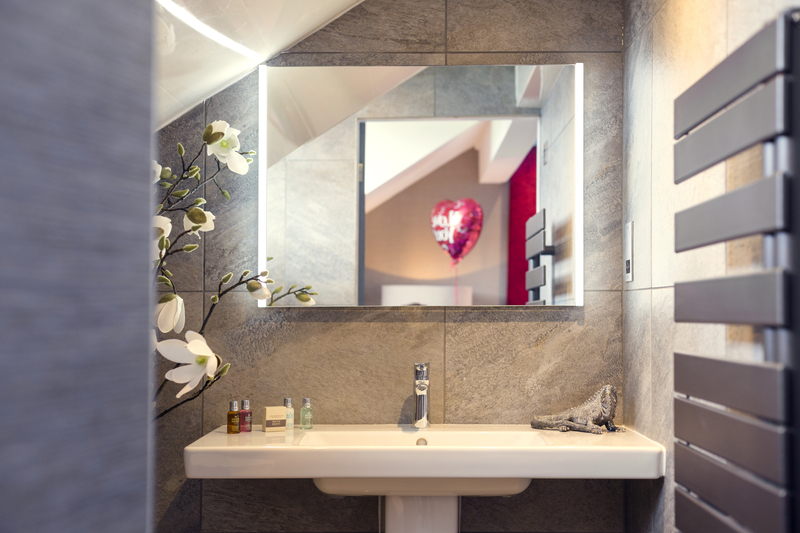 This luxurious suite located on the 2nd floor accessible via entrance hallway with private parking to front of building. 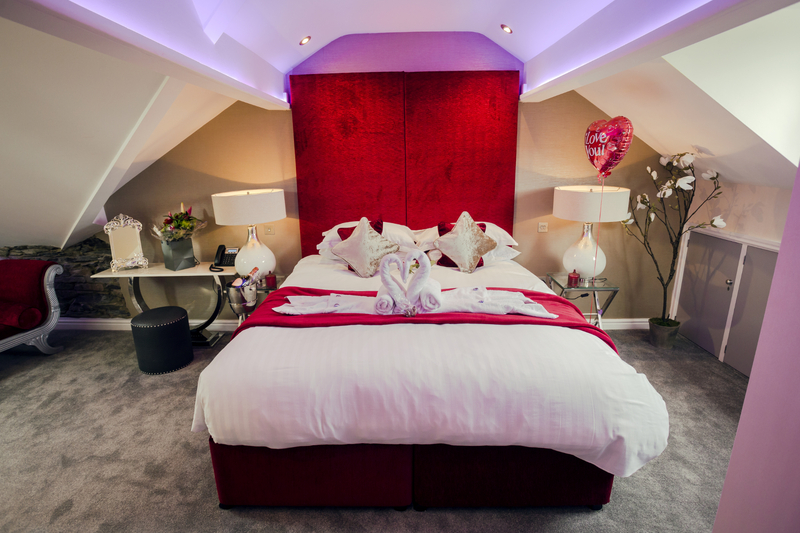 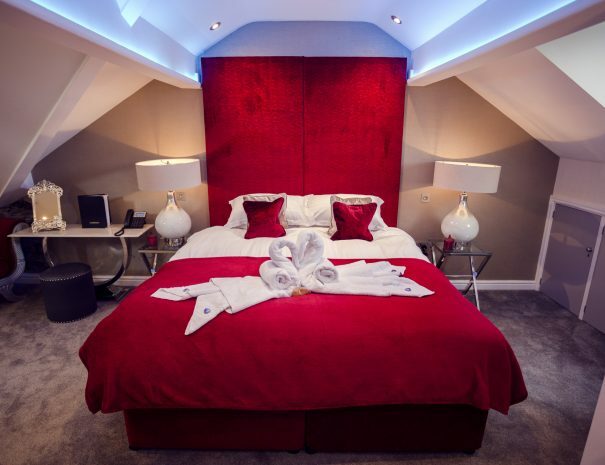 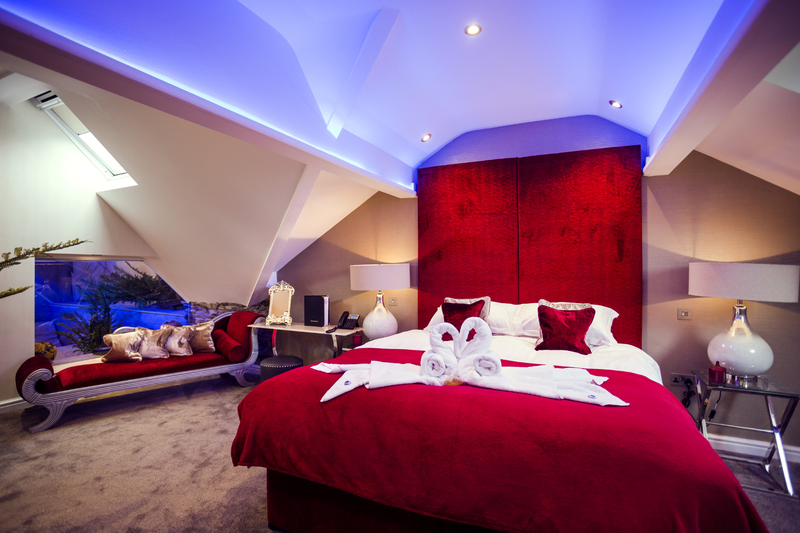 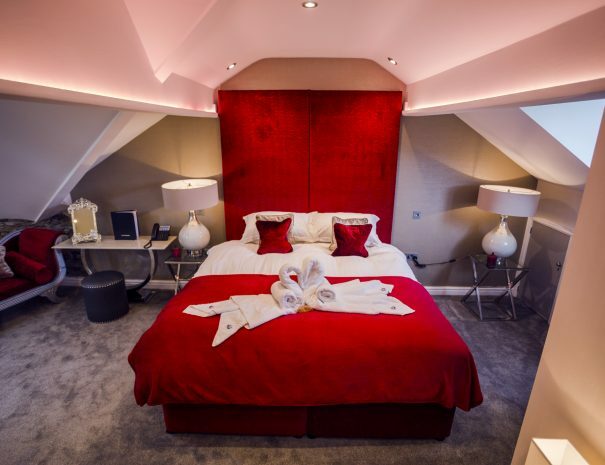 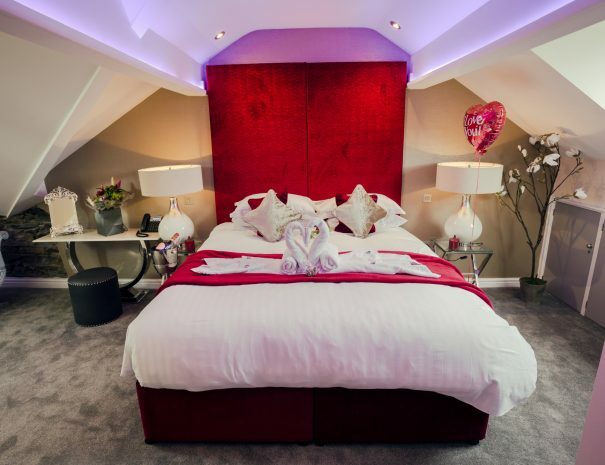 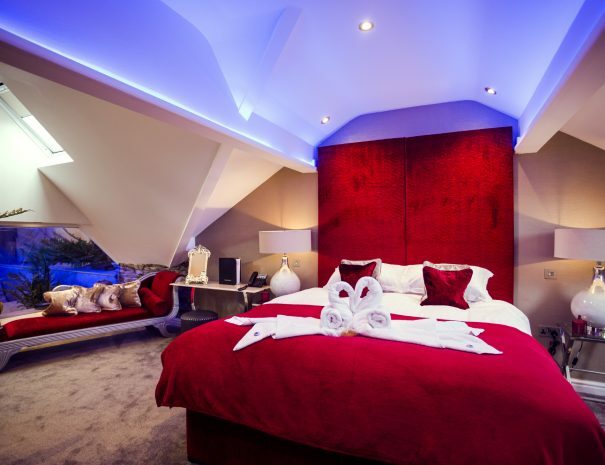 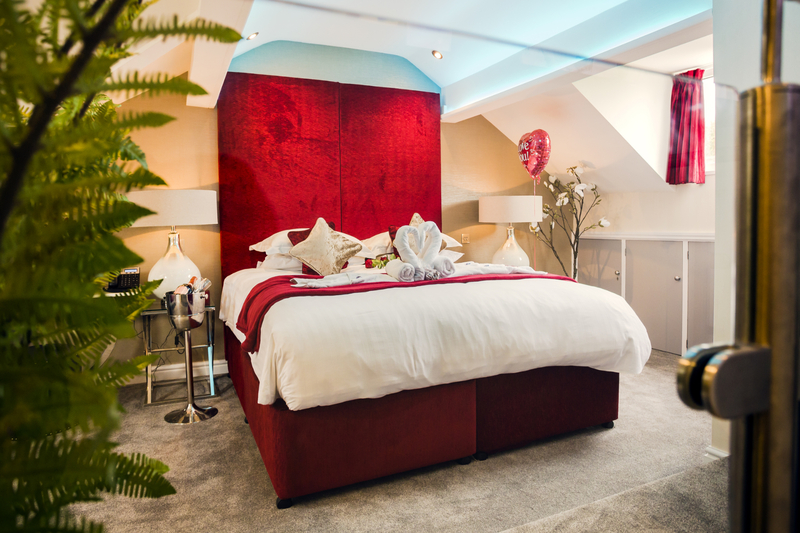 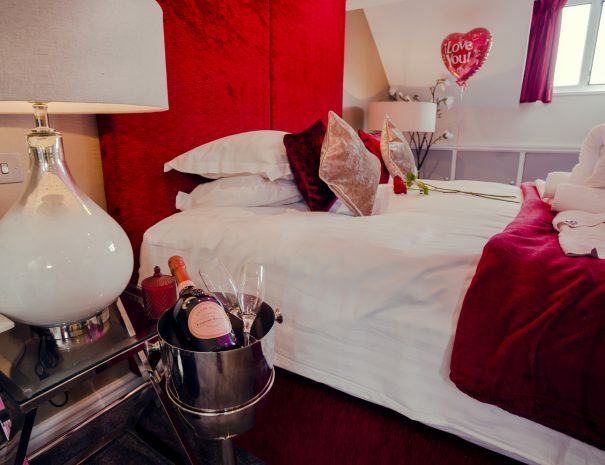 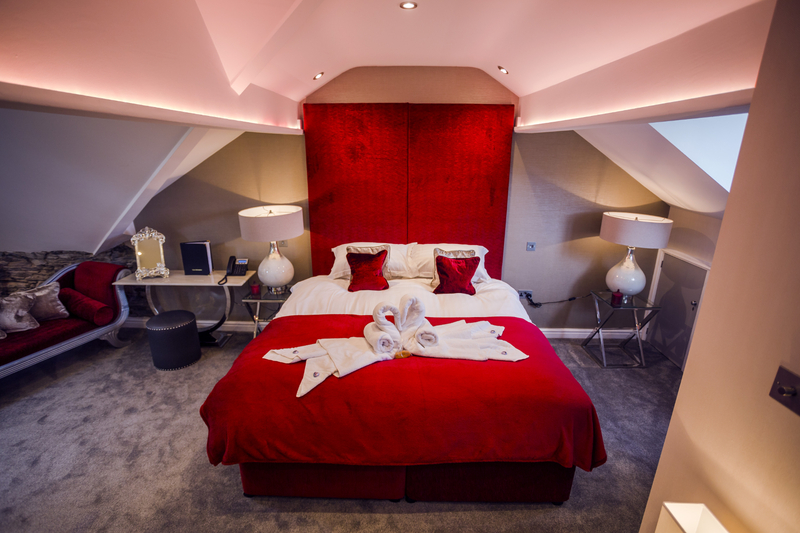 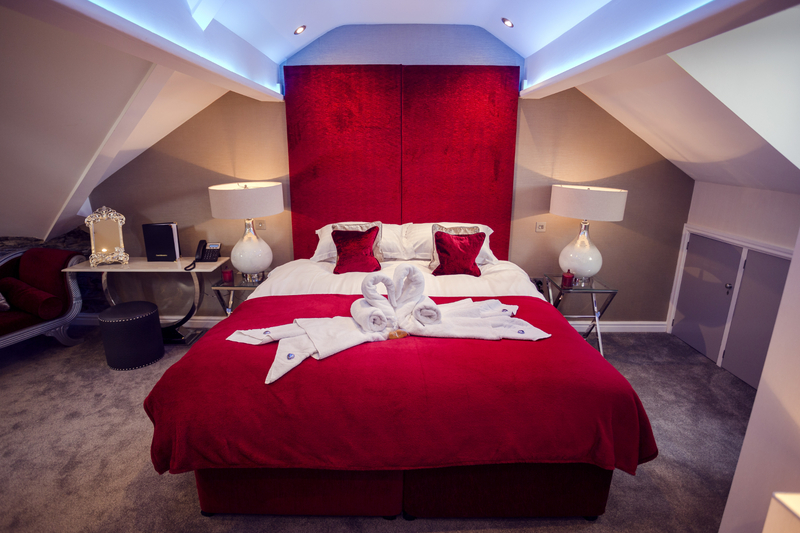 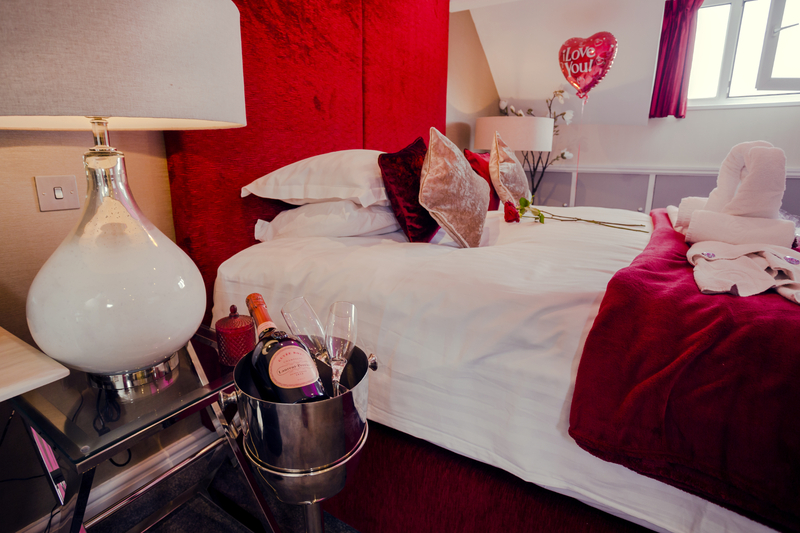 King size bed, 60 “ TV, mood lighting finished with a glimpse of Lake Windermere and mountain views. 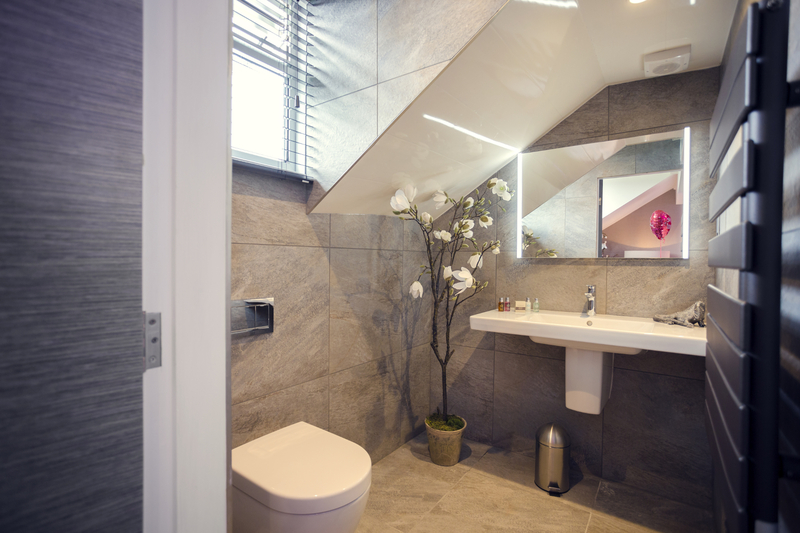 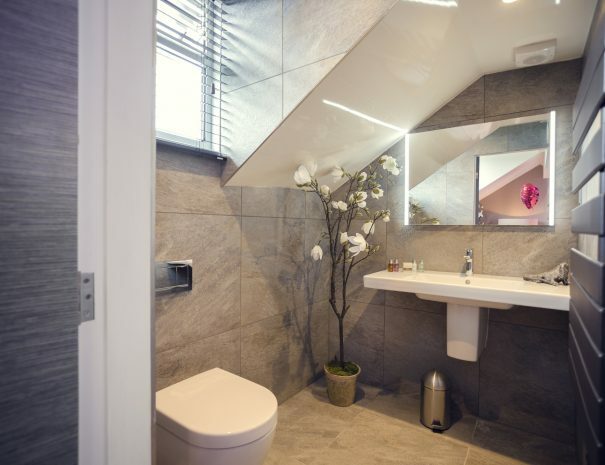 Separate Villeroy & Boch WC and washbasin. 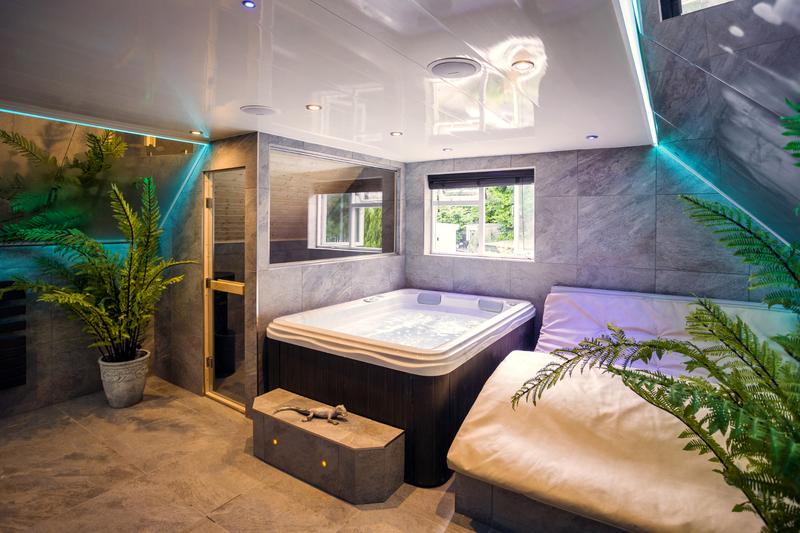 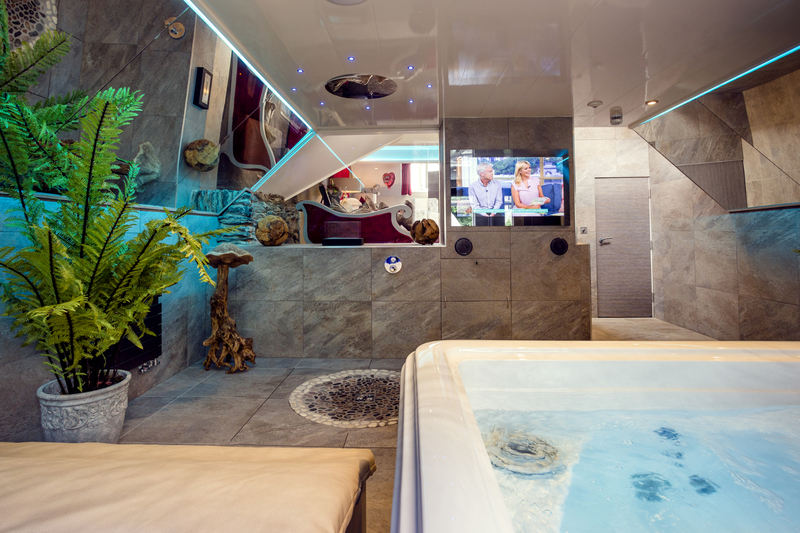 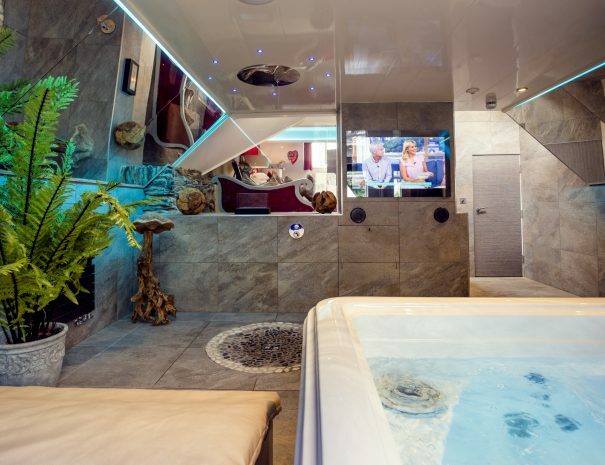 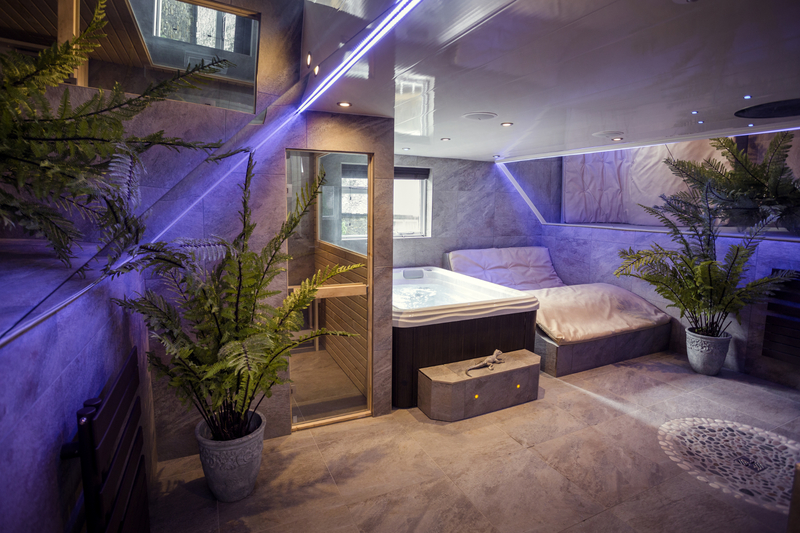 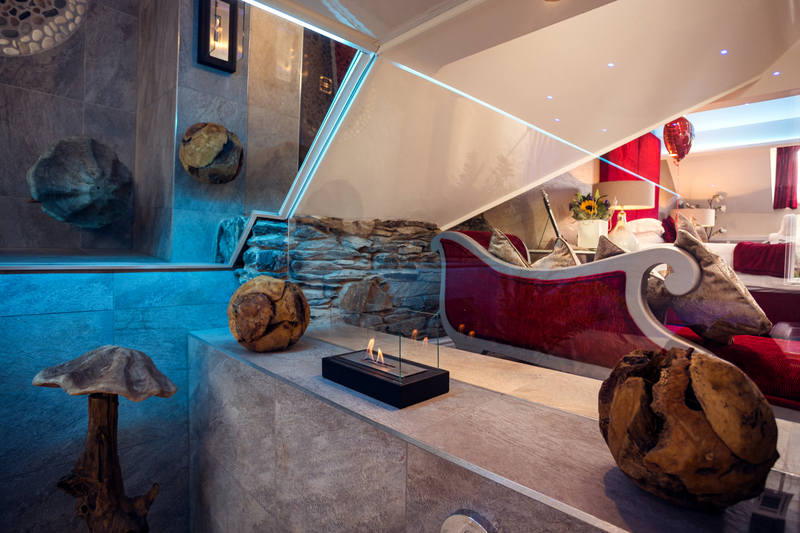 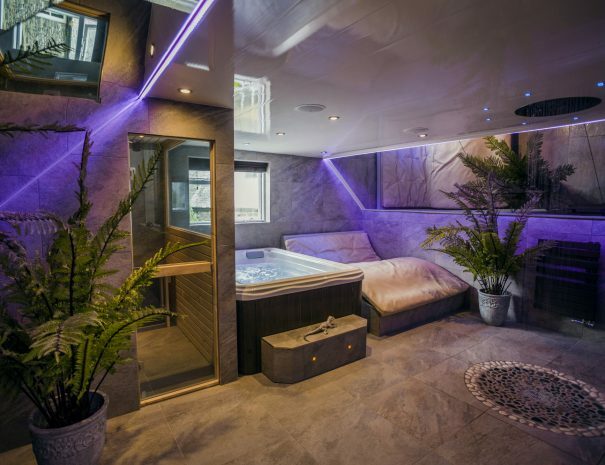 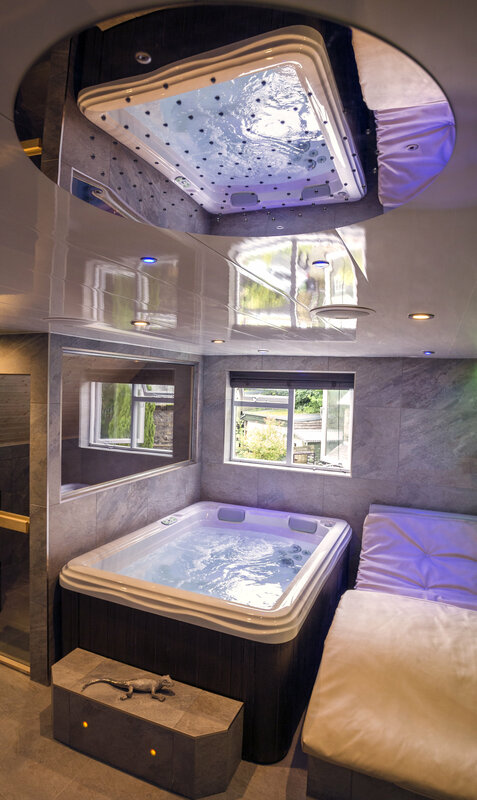 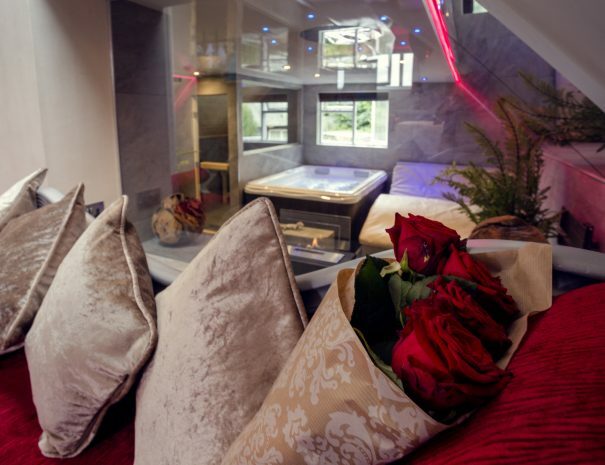 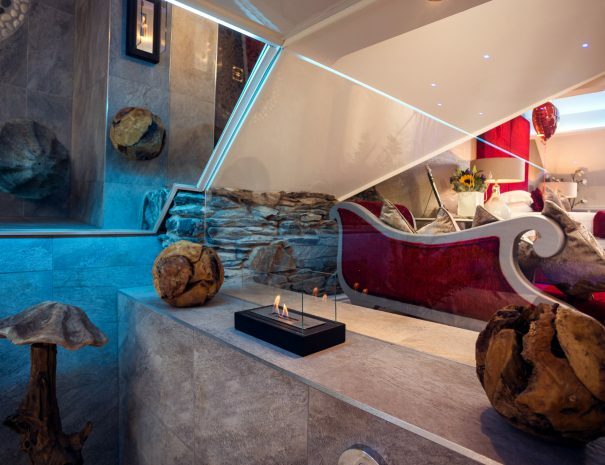 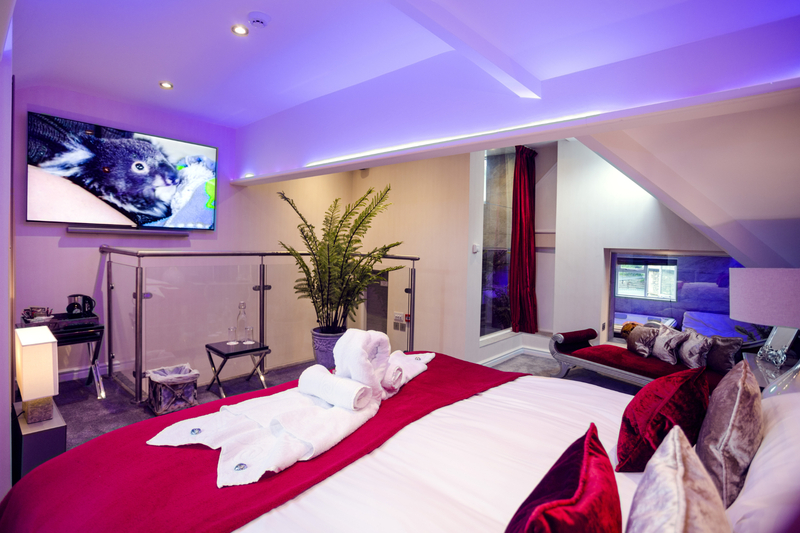 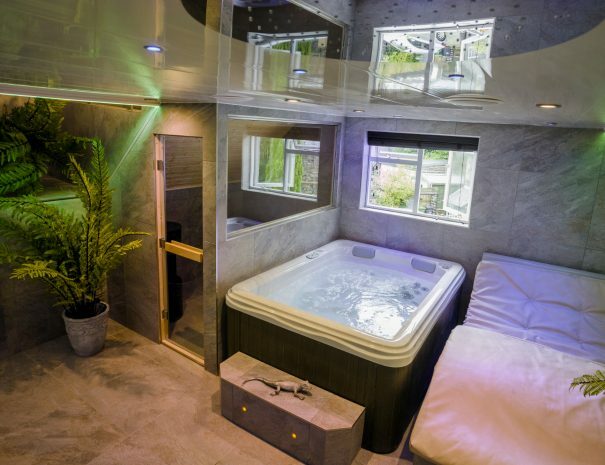 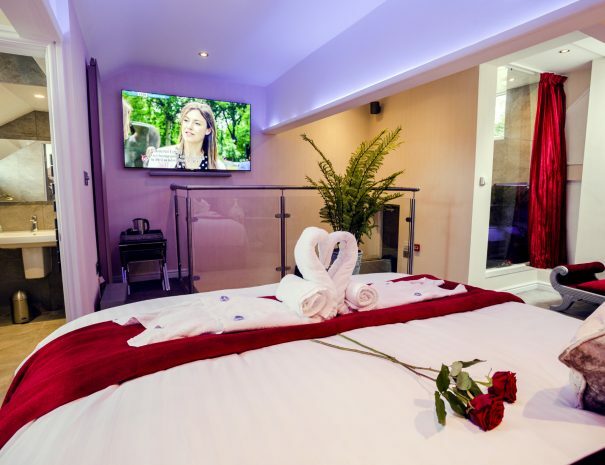 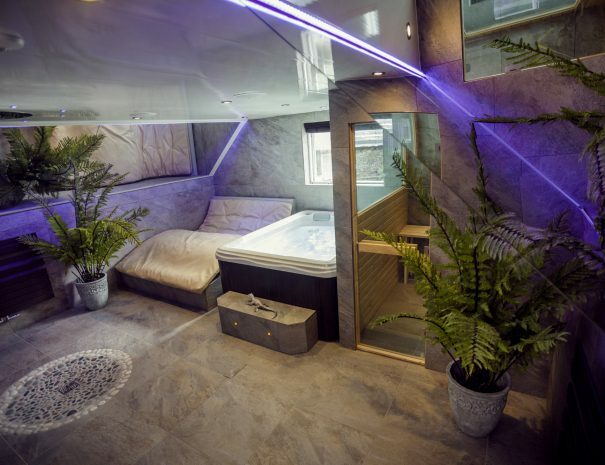 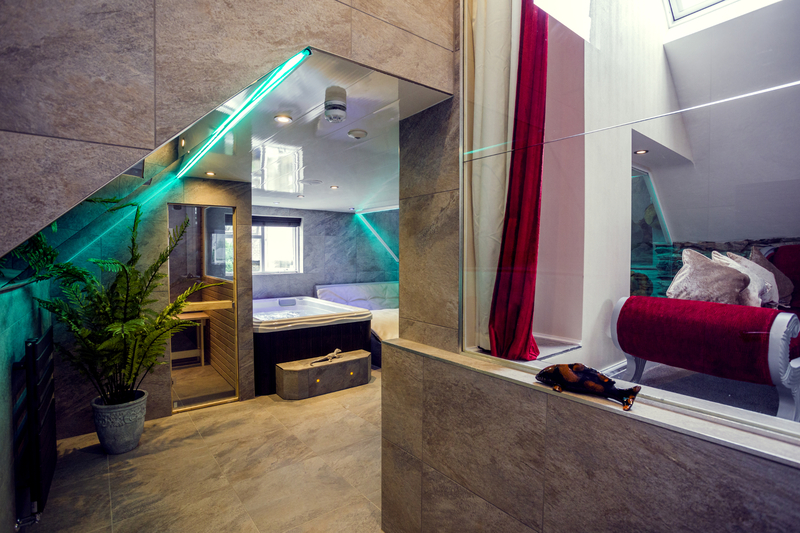 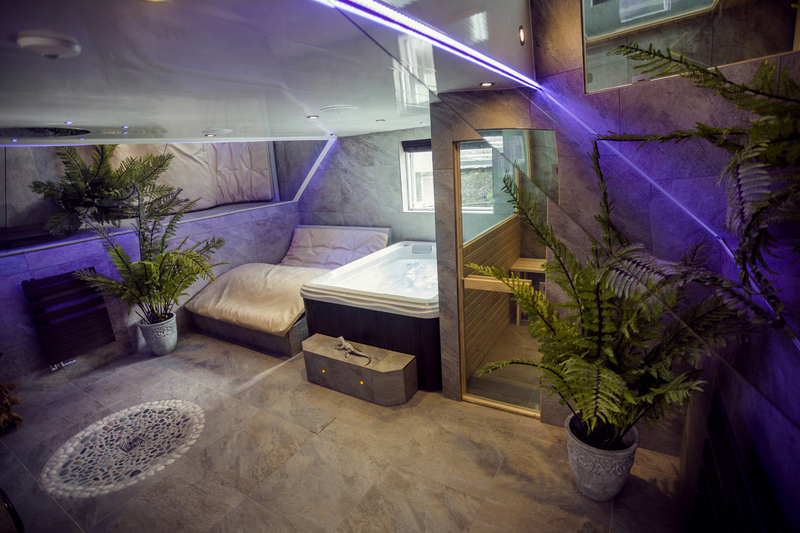 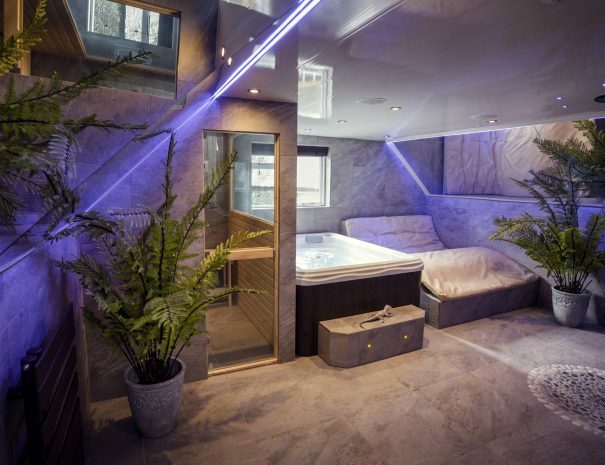 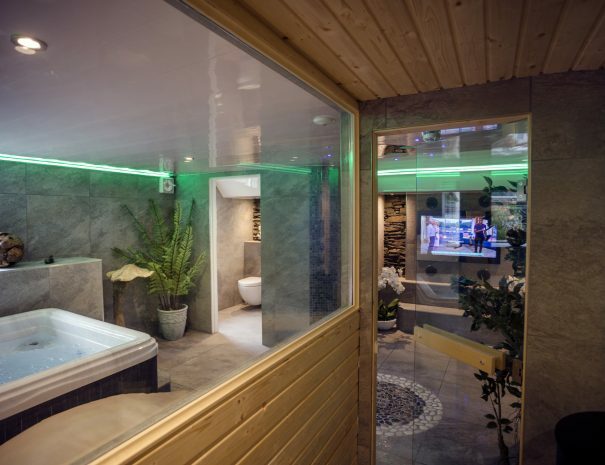 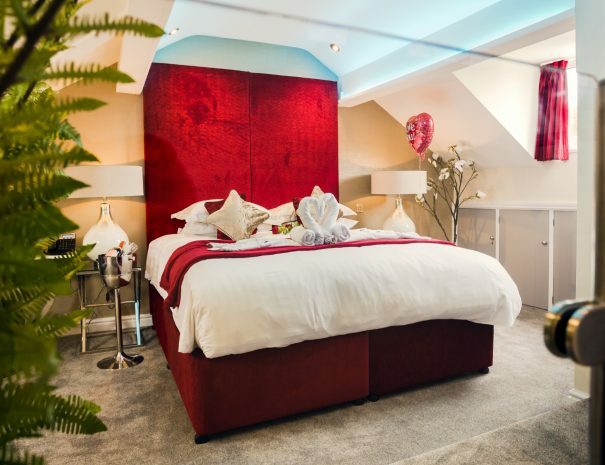 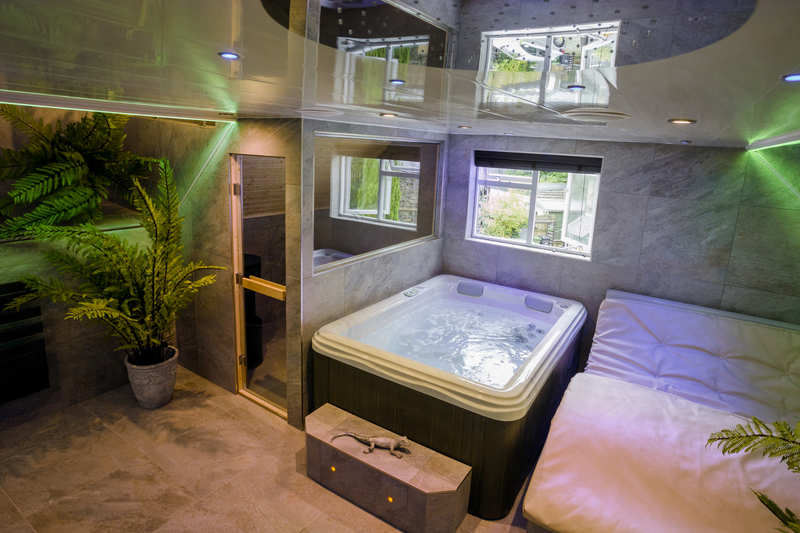 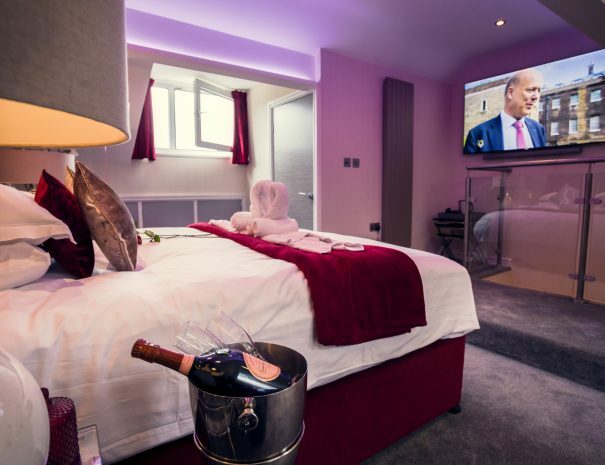 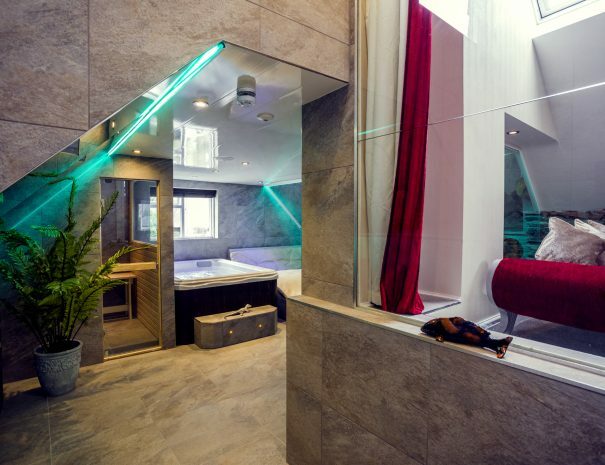 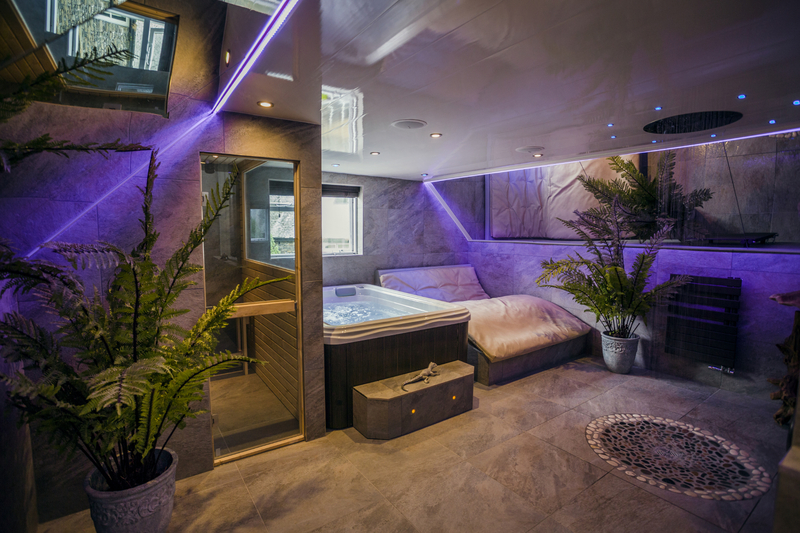 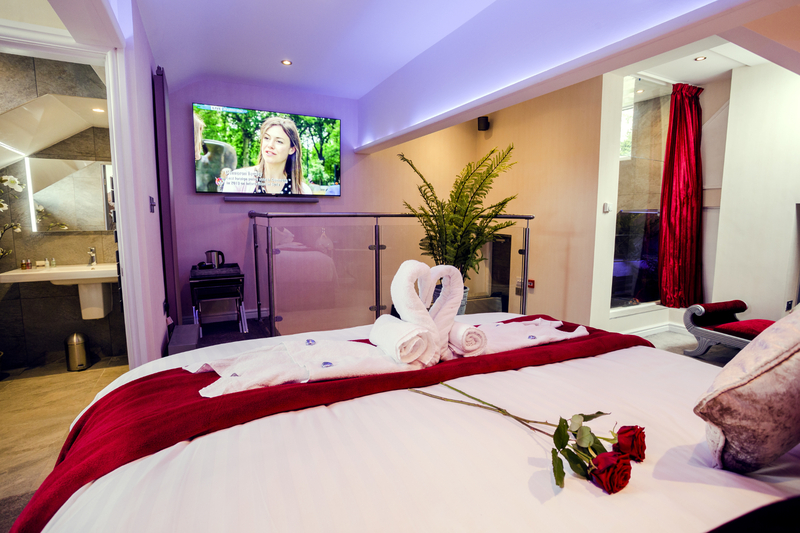 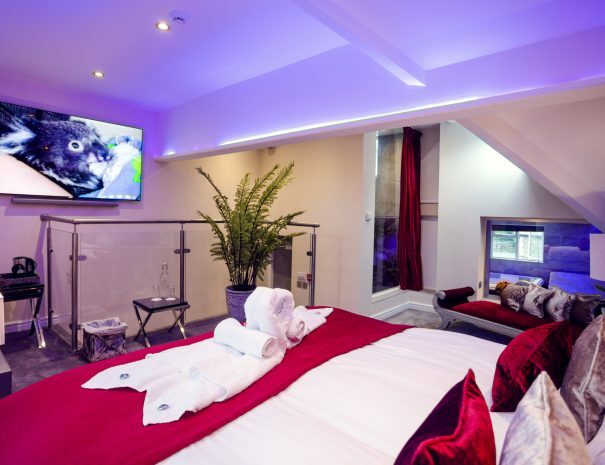 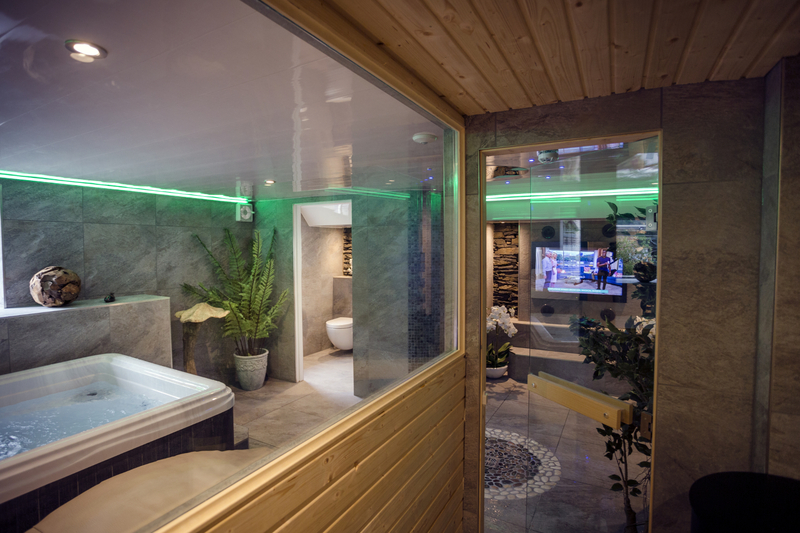 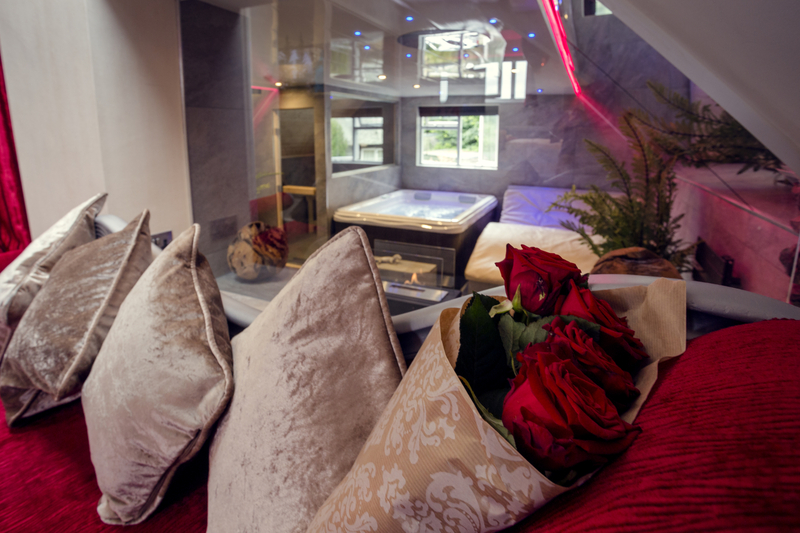 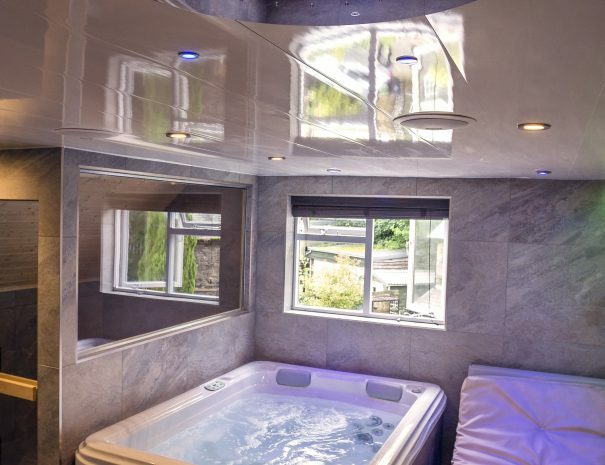 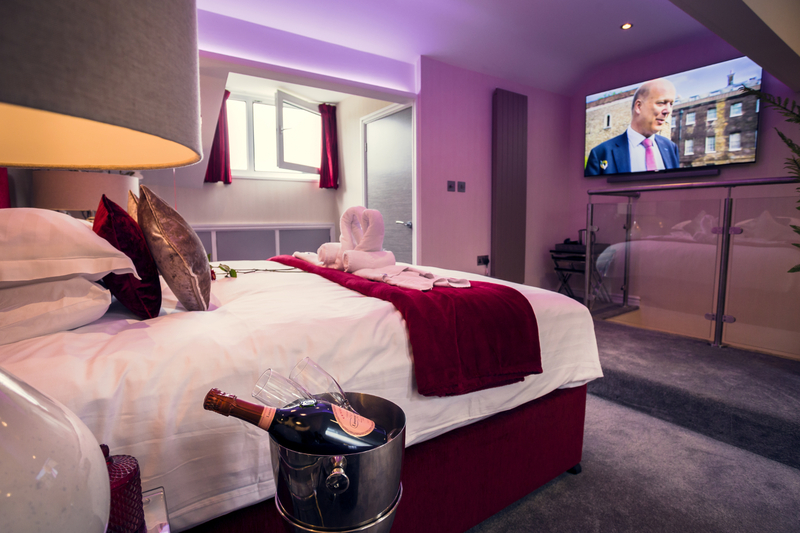 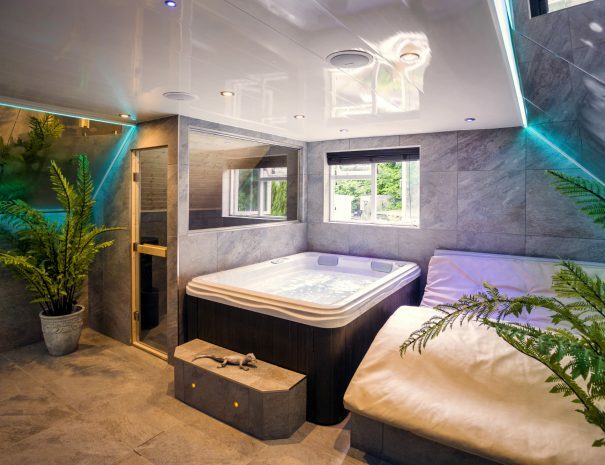 Boasting a luxurious spa room consisting of Swedish Hot Room, double relaxation chair, hot tub, 42” TV and feature monsoon shower complimented with mood lighting.